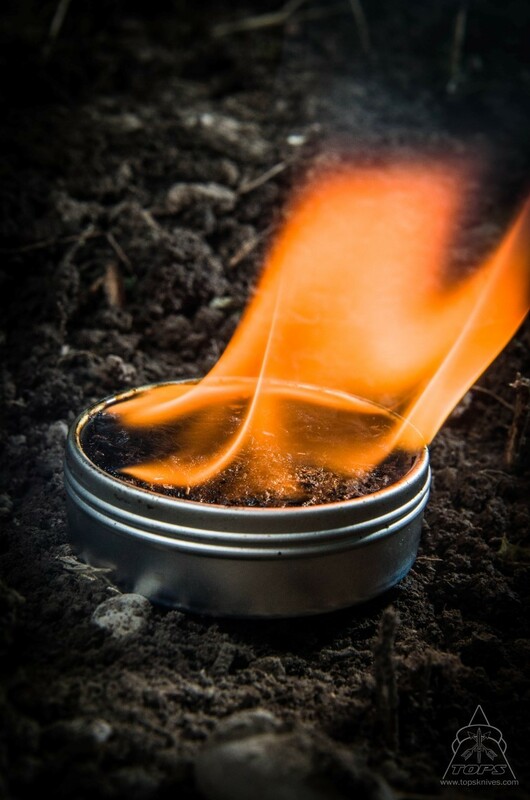 Compltely hydrophobic, intense heat in a two ounce tin. Created by Dale Fruit for Operators in extreme conditions. 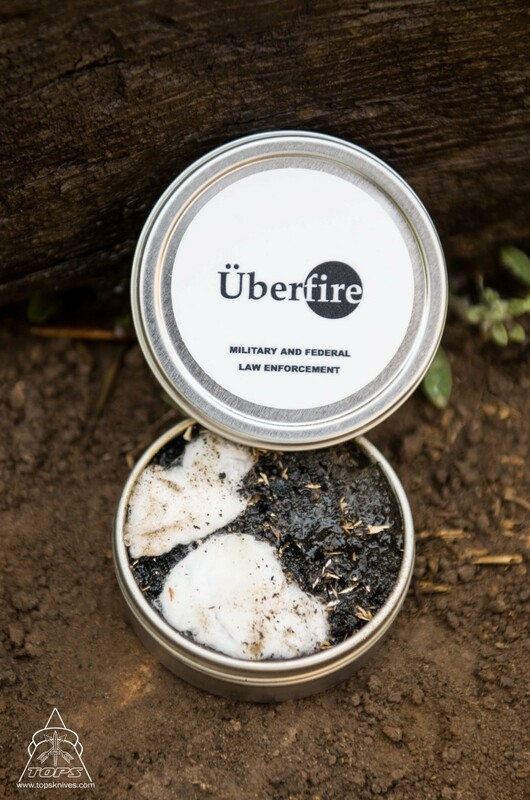 Überfire was originally designed to assist downed pilots in creating a potentially life-saving fire in inhospitable environments. A survivor with a broken leg, pelvis, or arm will not be able to forage for dry tinder or use many other traditional fire-starting methods. Clearly, a downed pilot who has survived a crash, would very likely suffer such an injury. 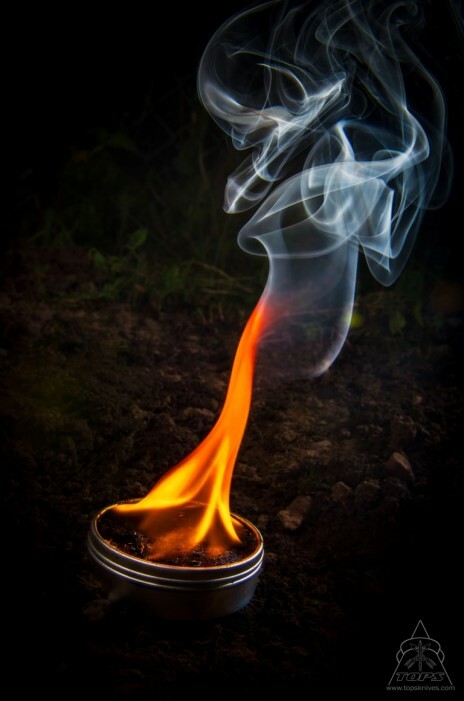 In a wet environment, lighters or matches may not be enough to get a fire going. That is why Dale created Überfire. It is completely hydrophobic, which means it will not absorb water. 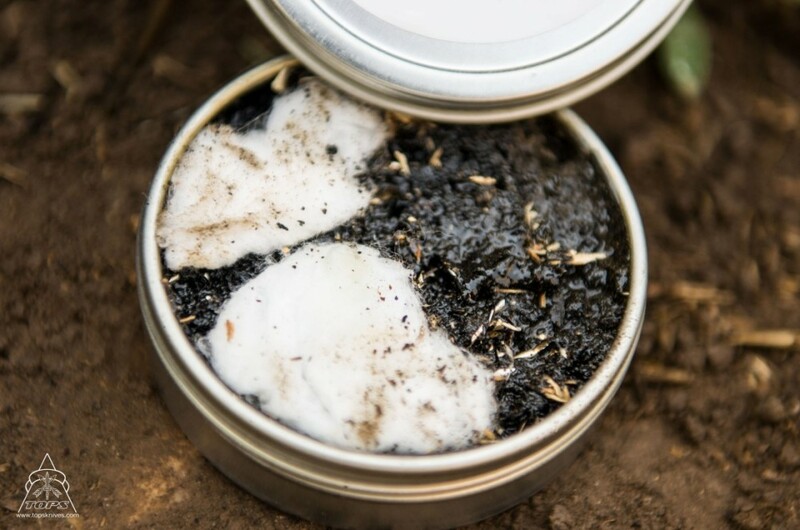 So even if it gets wet, the user just needs to discard any standing water in the tin and then light it up. 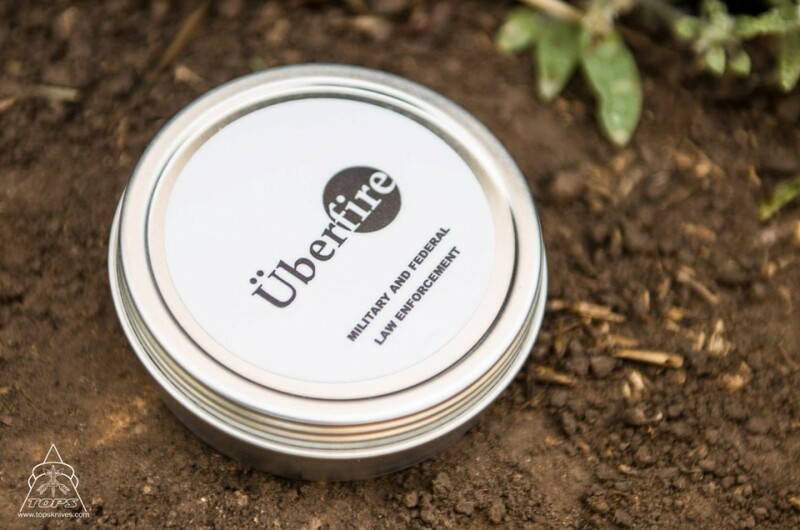 It is an excellent source of steady, intense heat that provides the user a means of drying out small tinder within his immediate proximity.